On this page, you will find a basic calculator designed to run Matunas Optimum Game Weight Formula. First, let’s find out what it’s all about? When it comes to Long Range Hunting, it is VERY important that you don’t exceed your limitations. This will help to avoid injuring an animal and causing it to suffer. Not only do you need to know your own limitations as a shooter BUT you must also know the limitations of your rifle and cartridge. This is where the Optimal Game Weight Formula developed by Edward A Matunas comes in. 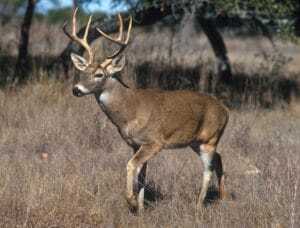 Use Matunas Optimum Game Weight Formula for White-Tailed Deer. (Credit Scott Bauer). The Optimum Game Weight Formula (OGW) was published in Matunas book: “Big Game Rifles and Cartridges”. 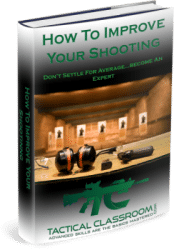 It has subsequently been published in various publications including Lymans 47th Reloading Manual and Applied Ballistics for Long Range Shooting. The OGW formula was developed to help hunters to make an informed decision as to whether their cartridge is suitable for taking large game and what their limits are. Matunas went on to develop a second formula for use when shooting varmints. The Optimal Game Weight formula takes into account Kinetic Energy AND Momentum. This makes it a very reliable formula as Kinetic Energy and Momentum are both essential energetic components of bullet lethality. HOWEVER, the formula doesn’t take into account bullet design/construction nor does it take into account shot placement BUT hey…no “formula” can. So…if you keep this in mind, you will realise that the purpose of formula is to give the shooter “baseline” or an indication. As mentioned above, shot placement and bullet construction will play a part. You can take larger game with your rifle/cartridge combination than the game weights suggested by the formula…but shot placement is critical (head or spine shots). Now…if you are like me, you probably just put those formulas into the “too hard” basket. What can I say…I’m not a maths fan! I work with the formulas I need to as a Long Range Shooter but I have ZERO interest in the subject beyond that! Figuring that most hunters and Long Range Shooters would be the same, I decided to change that. So…what I’ve done is put both of the formulas (OGW and the OGW Varmint) into basic calculators to make your life (and mine) a little easier. Simply, enter the velocity of your projectile, the bullet weight in grains, and the OGW row will self populate and give you an Optimal Game Weight in lbs and kgs. The velocity data can be found easily using a ballistic solver. By the way…if you work in m/s instead of fps, I’ve got you covered with a velocity converter as well. Do you m/s to fps conversion first then crack on with the OGW Calculator. This is great BUT, personally I find this a little cumbersome. I don’t like “tweaking” the velocity data until I reach the weight of the game I intend to hunt. With the “revised” formula you simply enter the weight of the animal you intend to hunt (most hunters will know the likely weight of their intended target). You then enter the bullet weight in grains. This will give you a velocity which you can cross reference to your ballistic data. This gives you an Optimal Bullet Velocity (OBV) instead. If you would prefer to use the OBV calculator (like I do…) click here. P.S. I hope you found the OGW Formula Calculators useful. If you did, I would appreciate it if you would SHARE this page with friends who may be interested.